Adding your smart bike trainer to your Garmin Edge device is pretty easy. As long as your smart trainer is compatible, you can add it to your Garmin and record different metrics from the trainer such as speed, power, and cadence. Also, you can send information from your Garmin to your smart trainer and be able to control your trainer from your Garmin device. 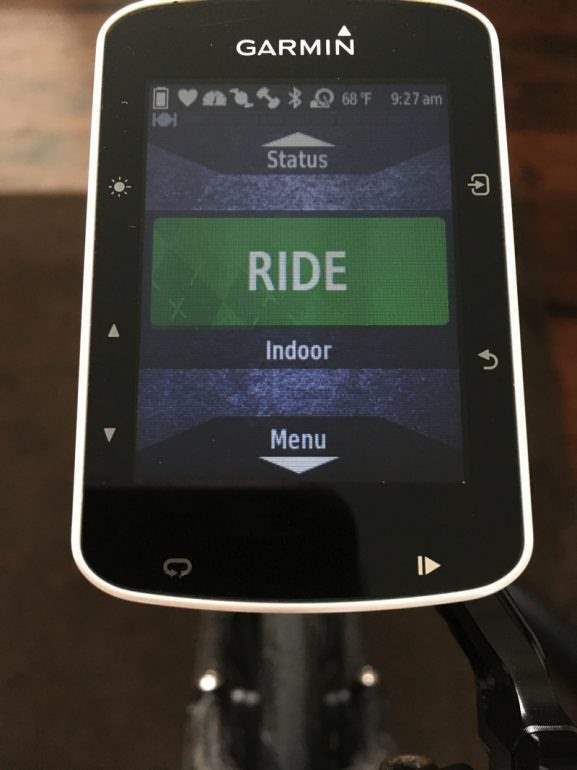 You can also ride courses or in ERG mode if you have your workout programmed into the device already. Your smart trainer will have to be ANT+ FE-C compatible for your Edge to control resistance. In this example, I am using my Garmin Edge 520. 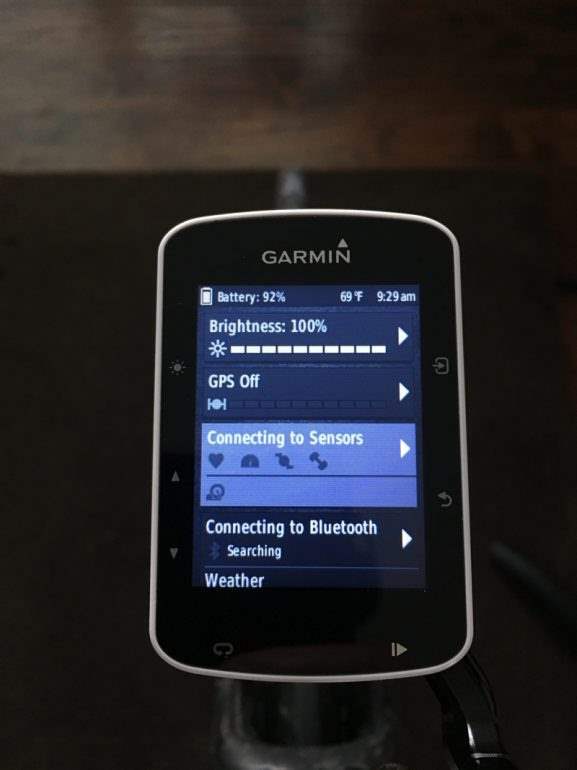 The menu setup is very similar for other Garmin Edge devices. ready to pair. Usually turning the crank arm will wake your trainer up in most cases. Your trainer will appear in the menu, select the correct trainer ID and click the enter button (top right button) you should be able to find the trainer ID in the serial number. In this example, I am pairing the Elite Drivo. You can change the name if you want so you can actually see the name of the trainer instead of just the ID. 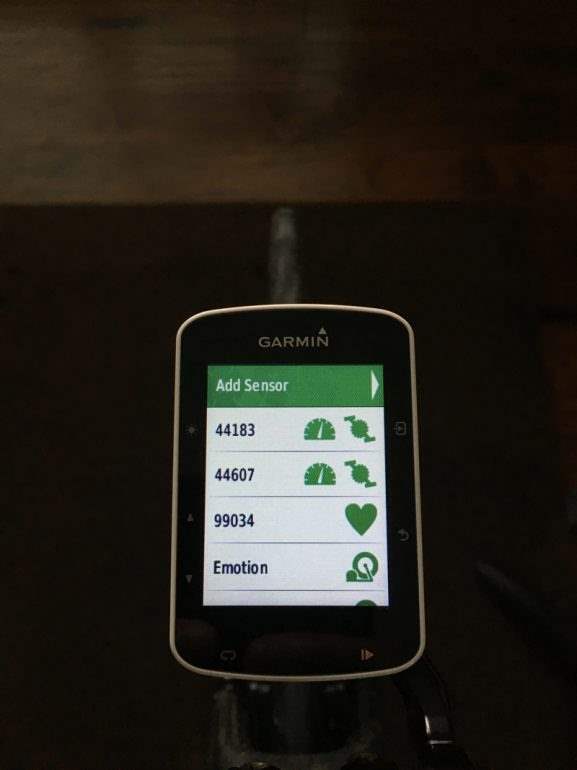 This is useful if you have bunch of other sensors connected to your Garmin. Just select the name and it will take you to the name menu where you can enter the new name. 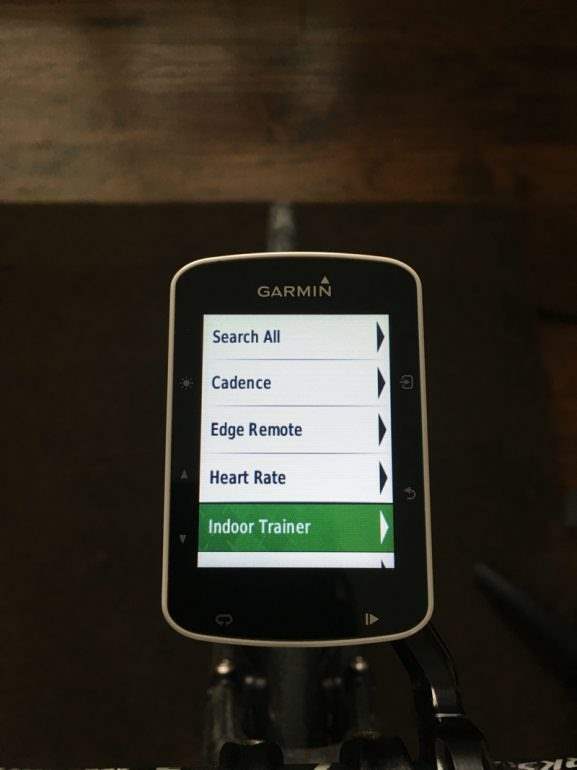 Once you are done, you will be able to see your indoor trainer name under sensors and your Garmin will automatically connect to it every time it finds it. That’s all to it. If you have any question, feel free to ask in the comment box below. I not abel to connect my garmin1000 edge and elite kura smart trainer. The Kura should be compatible with the edge 1000. Make sure the Kura isn’t connected to any other device such as Elite app, Zwift, or any other app or device and try again. Hi My question is If i connect my wahoo Kickr to my Garmin, what power source my 520 it’s gonna read my power meter or the power from the wahoo Kickr? Israel, Garmin will read power from your powermeter as default. You will need to disable your powermeter from devices if you wish to read from KICKR. 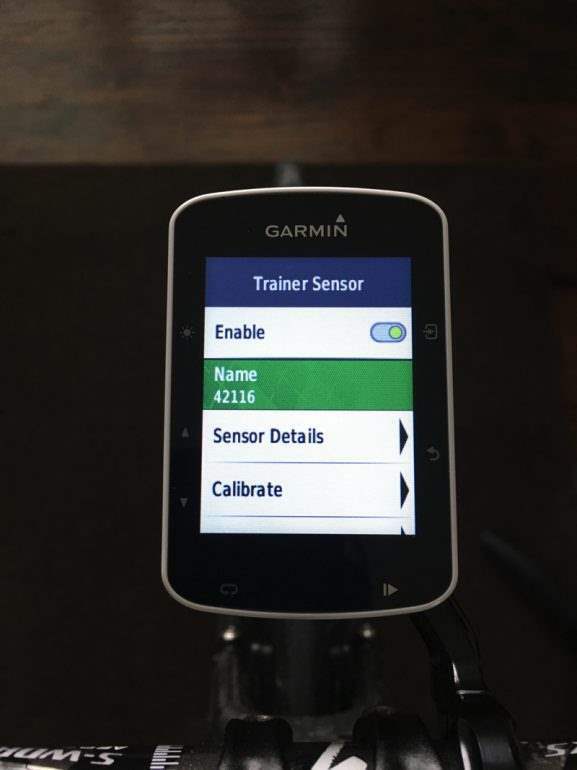 Hi, I am trying to pair my Garmin Edge 520 with my CycleOps Hammer trainer. I am at the Add Sensor screen shown above. I rotated the cranks and my trainer ID appeared in the screen and both boxes are checked just as in the screen above. 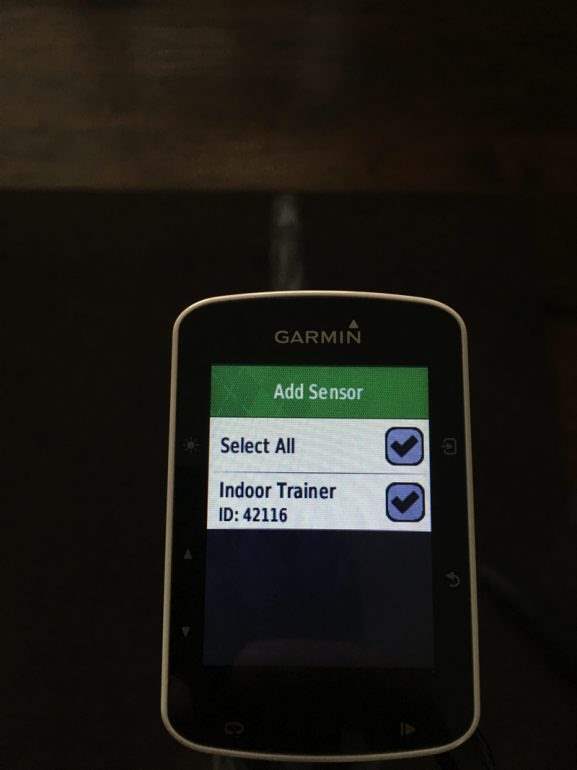 I scrolled down and highlighted my trainer ID but when I try to select my sensor by clicking the enter (top right) button it removes the check marks as opposed to advancing me to what I assume is the next screen, the Trainer Sensor screen also shown above. Help! When you select your trainer id, make sure you scroll back up to up to “Add Sensor” and then click the enter button. The Add Sensor should be highlighted in green just like in the photo above. Thanks Tariq. That worked! I have a follow up. I’m seeing all the data from my trainer when I ride including speed, cadence, power, etc. But is there a way to customize the data screen as I’ve done with the profile I use when I’m out on the road? Also, is it possible to add my garmin heart rate sensor to the mix? Yes, you should be able to add a compatible HR monitor. Just follow the same process to add a new device to add your HR monitor. Hi, when I pair my tacx flux with my Garmin, the speed/distance is very different on my Garmin to that displayed by the tacx trainer software. Check the tire circumference in Tacx Training software and Garmin and make sure they are the same. In your Garmin, it should be under your trainer settings. Also if you are doing a certain workout like in ERG mode, your speed might not match, and it’s irrelevant since you are training with power. Anyone tried to pair bkool smart pro 2 with Garmin 820 ? I didn’t get a chance to test out the Pro 2. But a couple of things to check out. Make sure you update the firmware on the bkool. Bkool for whatever reason, disable the ant+ fe-c protocol until you update it using the bkool desktop app. Also, make sure your Garmin is very close to the trainer when trying to pair. Hopefully, this is helpful and please let me know whether you get it to work or not. What happen after the 30%? Does it maintain resistance or drop the connection? Hey Tariq. Quick question. I’ve paired my 1030 to my kickr and was wondering if there was a way to change the resistance increments on the Garmin from 10% to 5%? hi i am trying to connect my garmin 1000 edge to my Bkool pro, i select to search for indoor trainer but it just searches not stop and does not pick up the bkool while i turn the pedals. any ideas? i have searched for how to step by step but nothing covers the bkool. You might have to enable ANT+ FE-C in your Bkool Pro. Usually, they aren’t and you will have to enable it using the Bkool app. You should be able to pair it as an indoor trainer after that. Tariq, I have been unable to connect my Garmin 1000 with my Tacx Bushido2790. I’ve noticed on other sites people having a similar problem. Go to “sensors”, scroll to “indoor trainer”, told to spin cranks, but nothing happens, even after 5 minutes or so. What other sensors should be turned off? I have heart, cadence, power (Vector pedals). Also having issues connecting with Sufferfest, but will bring that up with them. Thank you for your help. I am not familiar with the Bushido t2790 model but I believe it can’t be controlled by third-party devices or applications such as Garmin or Sufferfest. 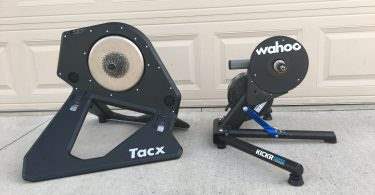 I think Tacx have an upgrade kit for the t2790 but you will have to check with them. Have you tried pairing it as a powermeter or a speed sensor with your Garmin Edge? 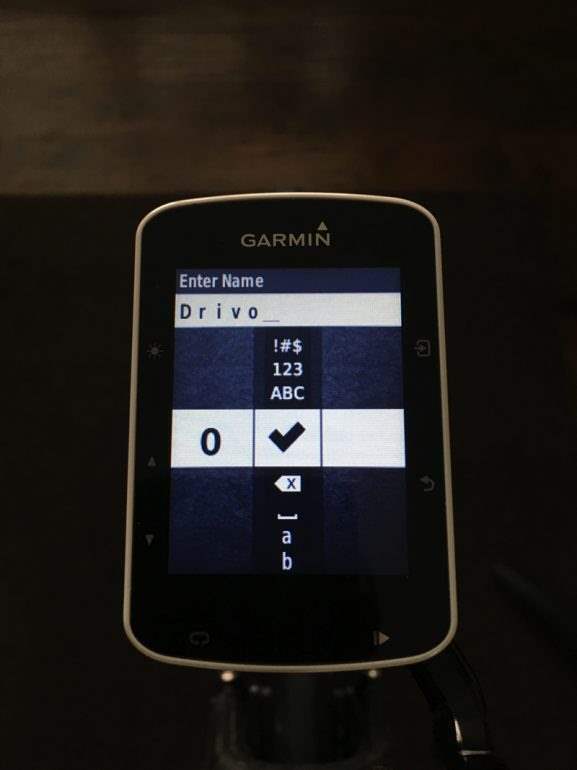 Do you know if there is a way to disable controling the trainer on Garmin Edge 1000. I want to have the Garmin collect data from it but let zwift controling the trainer. 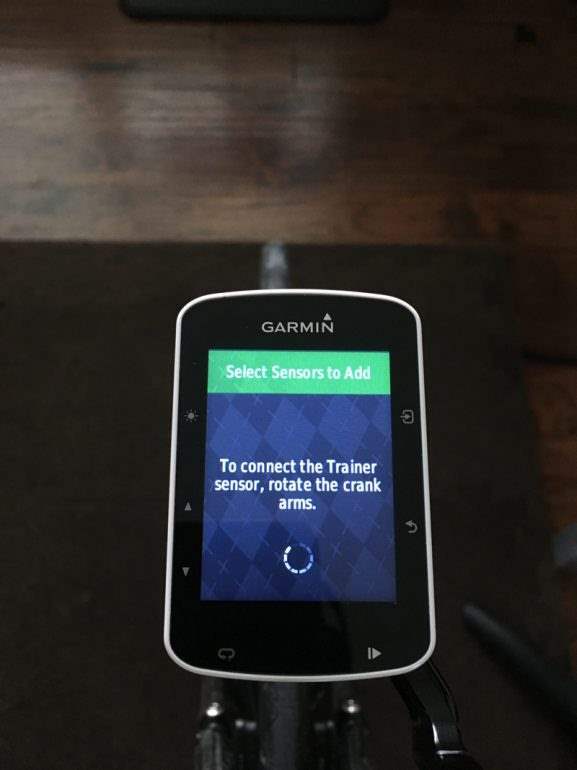 When I connect garmin edge to the trainer it automatically takes over control. And I need to disconnect the trainer to have zwift taking control of it. You can pair it as a powermeter instead of trainer and collect power and cadence data. 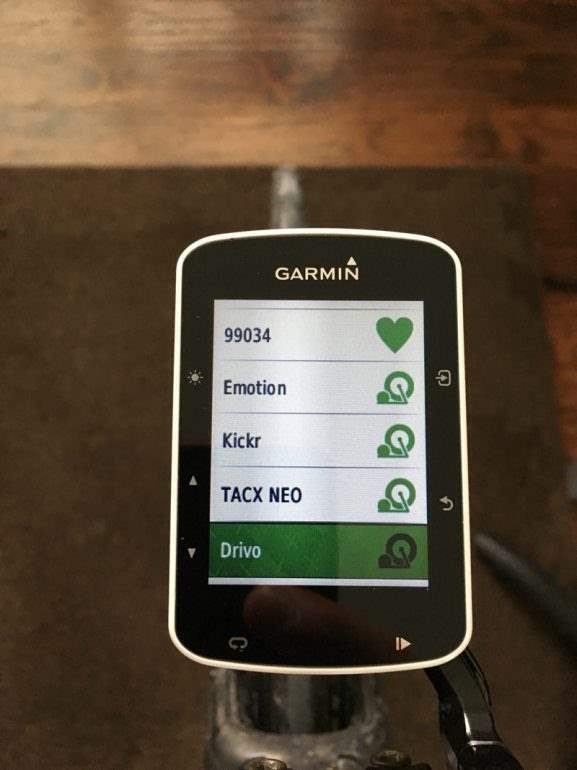 when i try to pair my garmin edge 1030 to the kickr…under indoor…after removing all other sensors…i can get the cadence and heart rate sensors from wahoo to pair, but the choice to pair with the kickr just says “connecting” …but never does. Try to unplug and replug the KICKR and see if that fix your issue. 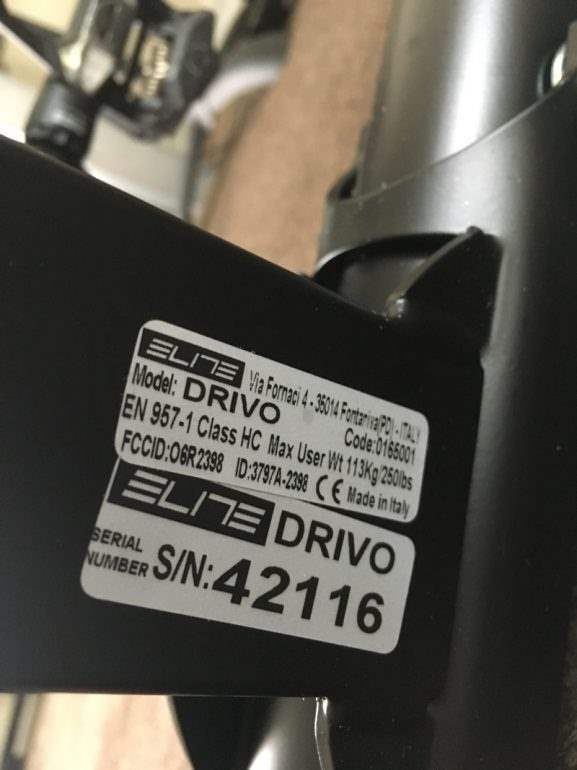 I am unable to pair my 510 to the Elite Drivo. The menu is different from the 520 and I don’t see ADD TRAINER in the menu. Can it be done? I am specifically looking for speed data. Since you are only looking for speed data, try adding it as a speed sensor. I have a Garmin 520 I connect it to my Bkool Pro. When I do a session it’s seems the 520 messure wrong watts outputs! In the 520 sensor menu I can’t calibrate. Maybe the Bkool and the 520 not can work together. The 520 will only report whatever Bkool is sending. 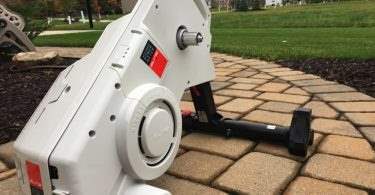 How do you know it’s sending wrong watts? Are you comparing it to another powermeter you have? There is no calibration option for the bkool in Garmin. You will have to run calibration in the bkool app.